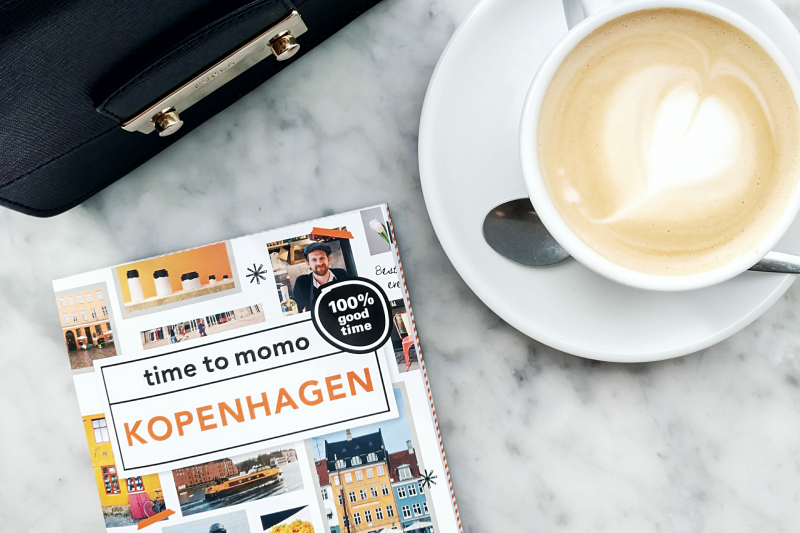 As promised, a blog post about the best coffee bars and food spots we visited in Copenhagen. 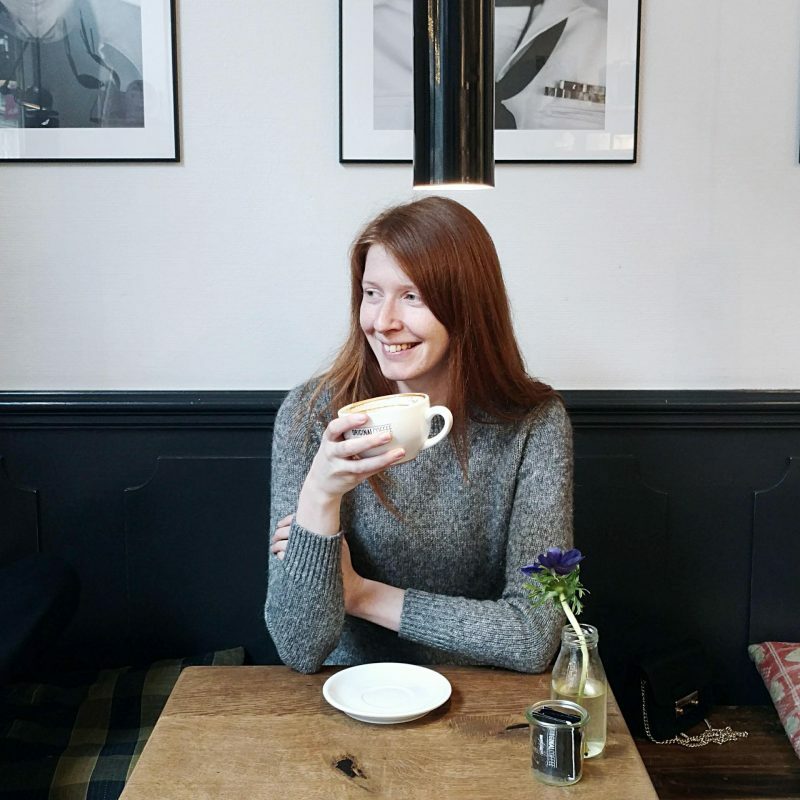 In just four short days we managed to find all the hipster food that CPH is so well known for: sourdough pizza’s, top-noch falafel pitas, hot cinnamon rolls, steamy cappuccino’s and of course royal portions of avocado toast. Are you ready for this? Scroll on! 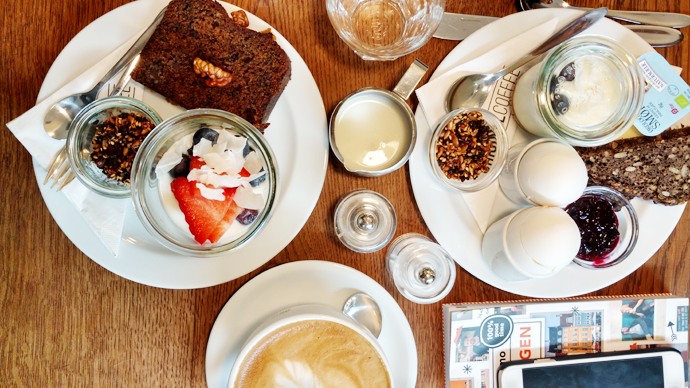 A true feast for your taste buds, The Coffee Collective on Jægersborggade was by far my favorite coffee bar in the city. They roast their carefully selected beans locally and pour a mean good cuppa. The neighbourhood is really nice as well. Jægersborggade is a flourishing street full of independent shops and small businesses. It’s also home to two other hotspots in this list. 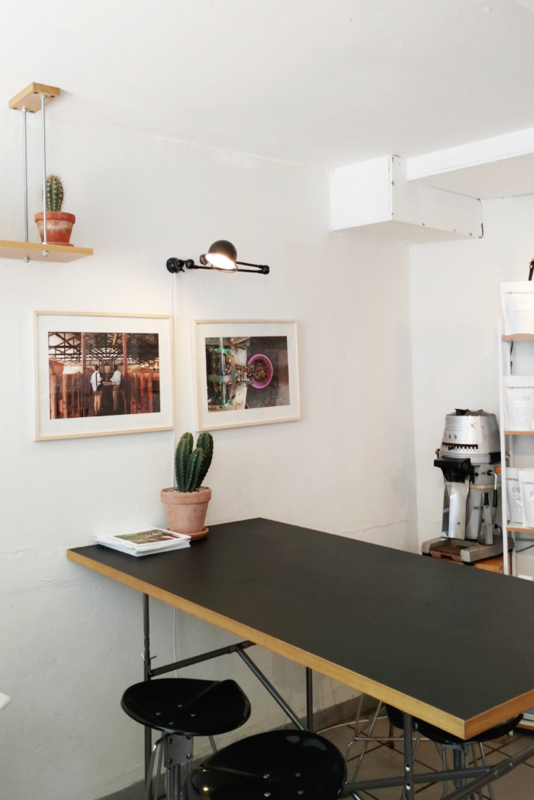 Upon arrival in the city we stumbled across Atelier September. This coffee bar is located close to Kongens Nytorv and almost directly next to The Generator hostel (where we were staying). It was the perfect resting place to plan our first day in CPH! 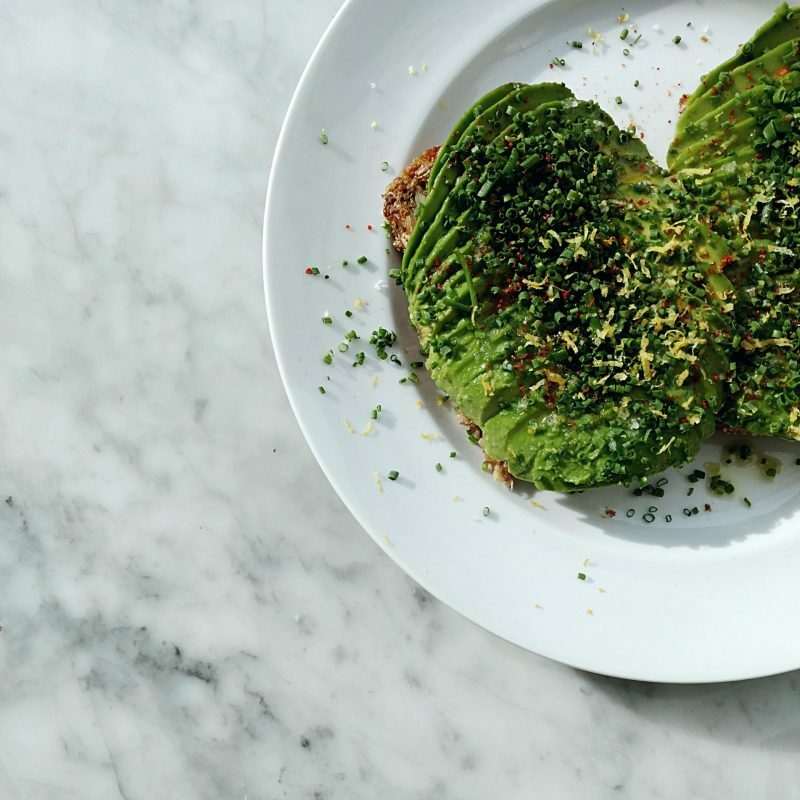 Apart from the coffee classics, you can also find quick lunch options here. I couldn’t pass up on the avocado toast. 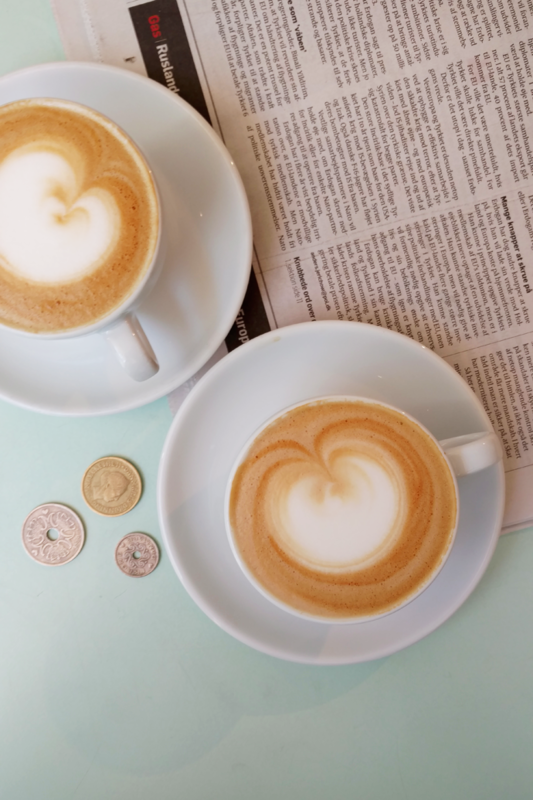 Original Coffee is a group of coffee shops with multiple locations across town. They roast their beans locally and have a nice selection of breakfast and lunch options. We visited the shop on Bredgade for breakfast on our last day, just before visiting with her majesty the queen in Amalienborg castle (it’s around the corner). Comfort food for breakfast? Yes please! Grød is on a mission to redefine porridge and show the world that porridge does not have to be boring. 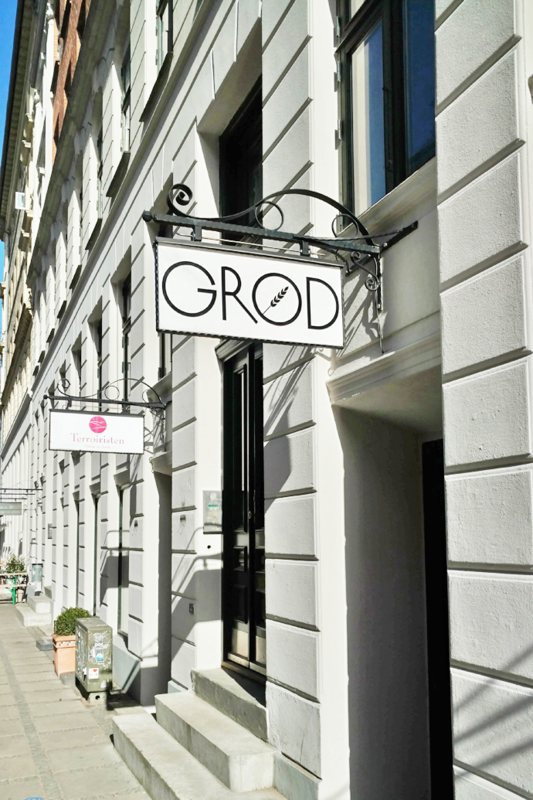 Grød serves up plenty of funky variations at fair prices on three different locations in CPH. I went for a steamy warm cup with apple, cinnamon, almonds and peanut butter. Just what I needed on a cold and windy morning in the city. Good news for those who can’t get enough of this good stuff! 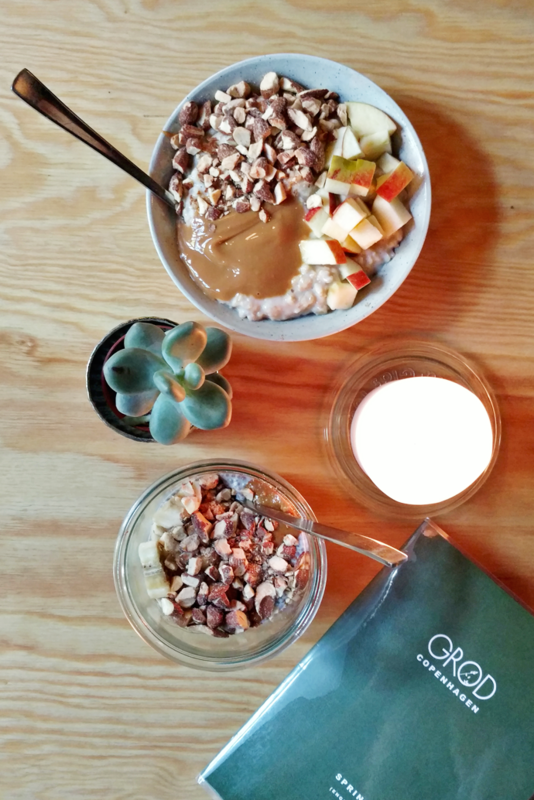 Grød has their own cookbook and also a selection of instant porridge, granola and toppings for sale in their shops. 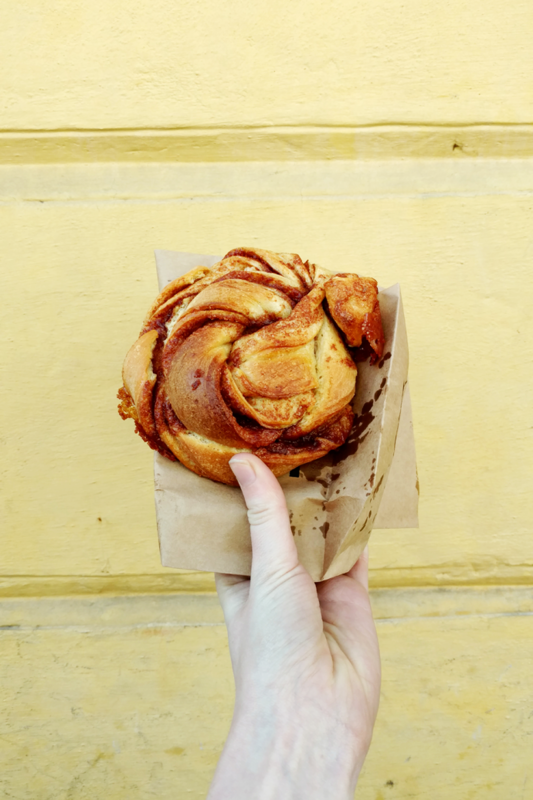 Don’t ask me how, but after finishing my breakfast at Grød I still had some place left for what is probably the most well-known cinnamon roll in all of Copenhagen. You haven’t been to Copehagen if you haven’t had one of these! Mine came fresh out of the oven and hmmmm… dear goodness, I have never tasted anything more cinnamon-y than this. I loved it. Too bad that Jægersborggade is not the easiest street to reach, because I would totally have gone for a second… and a third… okay and maybe a fourth if I could have! This one hasn’t stolen its name. Mother is the mother of all Italian restaurants. 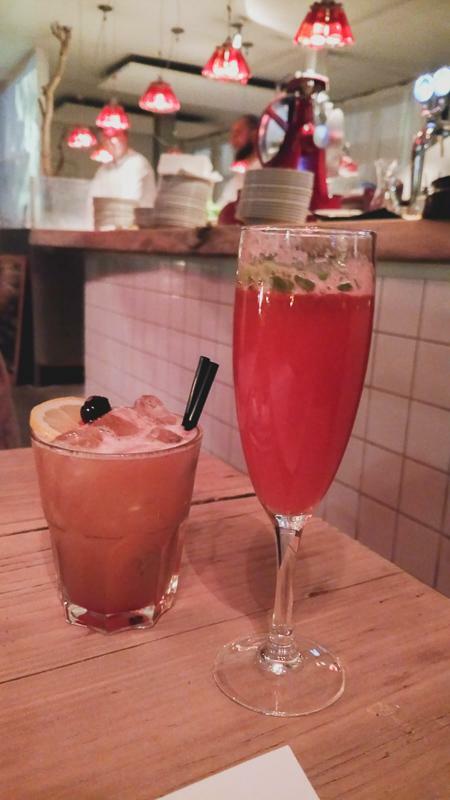 The restaurant serves simply the best Italian “no-nonsense soul food” and at the bar you can enjoy a mighty fine selection of cocktails. Beware: this place gets jam-packed in the evening. We shared a glass in the bar while we waited for a free table and scanned the plates coming out of the open kitchen so we could pick the best choice of the menu. 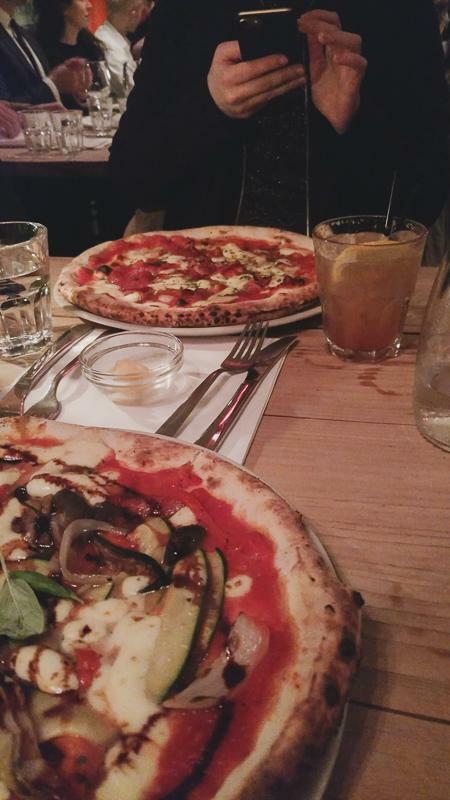 Guys, I’d seriously go back to Copenhagen solely for these sourdough pizzas. 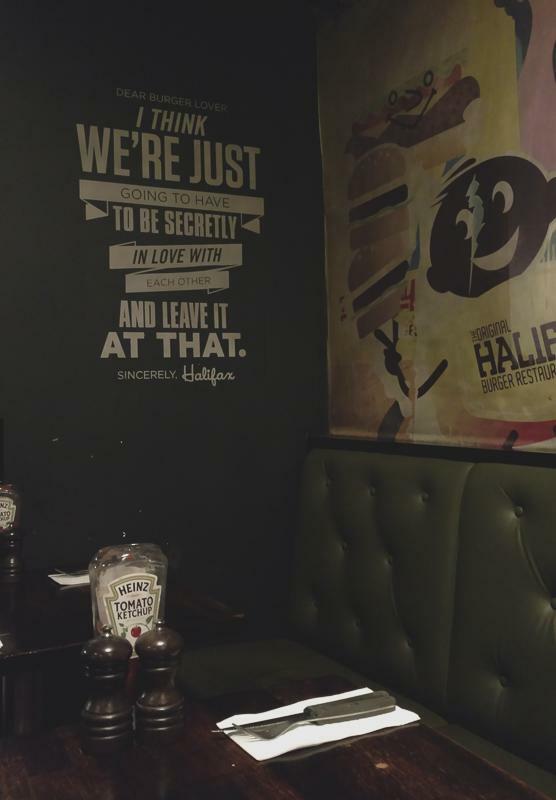 Burgers and beer, that’s what Halifax is all about. 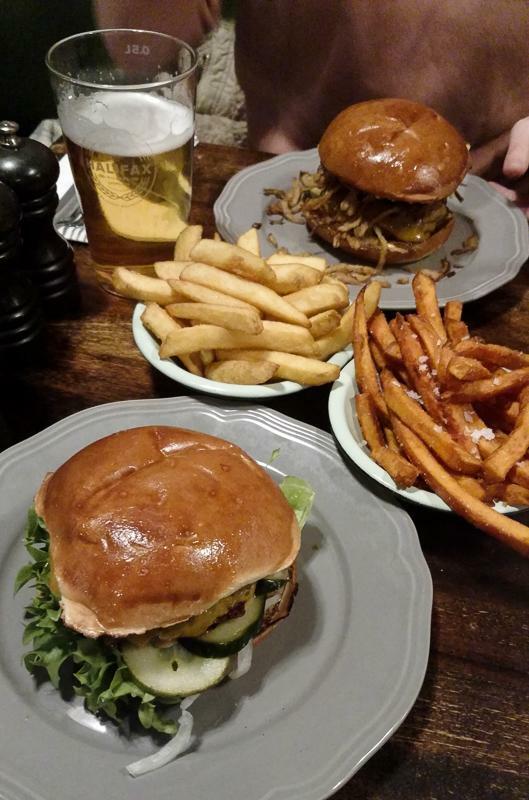 On the menu you’ll find a selection of ready-to-order burgers inspired by some of the world’s most exciting cities and places and a great selection of sides (try the sweet potato fries!). Fancy something special? You can create your own burger too! Simply choose a type of burger, a bun, a patty, side dish and dip and the chefs whip up your creation especially for you. At Halifax you can eat in or take out. Fair prices, friendly staff, quick service. Café Flottenheimer is located just off one of the main shopping streets in the city center. We stumbled across the cafe by chance and stepped inside for lunch on our first day. The place looks very welcoming and the interior is warm and cozy. 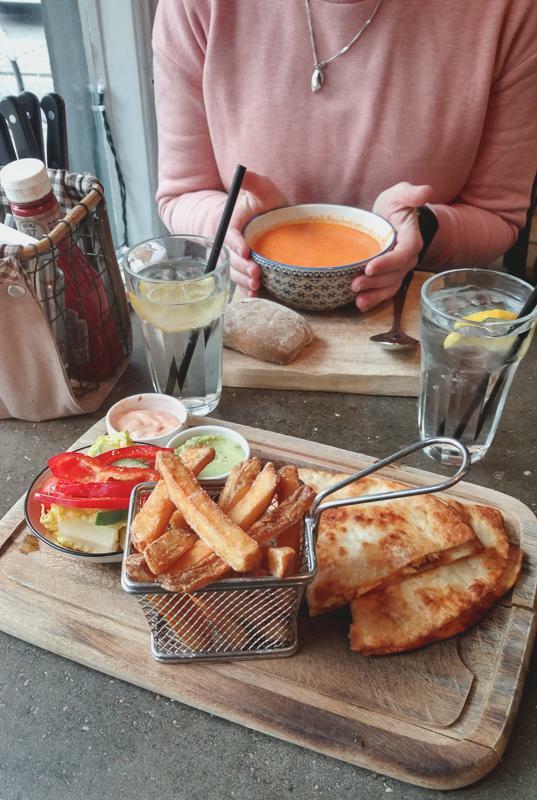 On the menu you’ll find a little bit of everything. I went with the chicken quesadillas with fries because I had never had quesadillas before, haha. 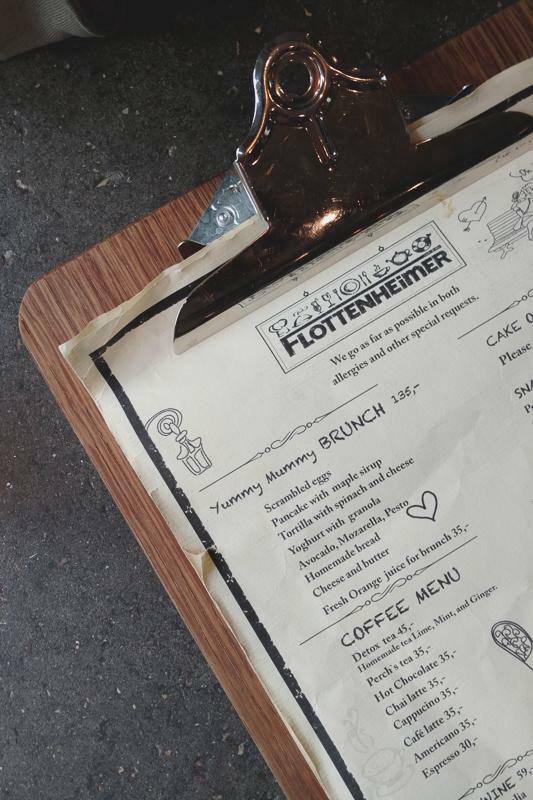 Flottenheimer is a great place to have brunch, lunch or dinner. 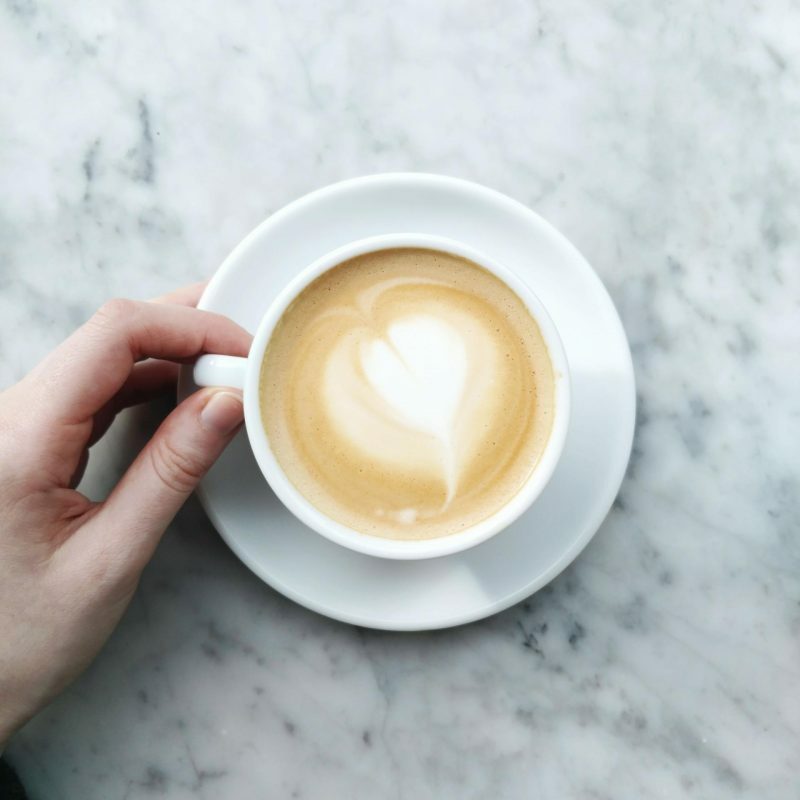 If you’re not that hungry you can also enjoy a simple cup of coffe. At night the place turns into a buzzing restaurant that also serves up some nice-looking cocktails (it used to be a cocktail bar). Hope you’re having a good start to your week. Still quite hectic here, so once again I’m looking forward to a quiet weekend, haha.